MOSCOW, Russia -- Russian gas giant Gazprom may sue Ukraine if Kiev reduces imports below the minimum contracted volumes of 41 billion cubic meters for 2012, Gazprom CEO Alexei Miller said on Friday. "If the minimum contract volume is not purchased, it may be grounds for sueing Ukraine," Miller told a news conference, adding the contract signed with Ukraine still stipulated Russian gas supplies in 2012 at 52 billion cu m.
Under the contract, Ukraine can accept not less than 80 percent of the contracted sum. Ukrainian Energy Minister Yuriy Boyko announced in January that Ukraine was seeking to cut Russian gas imports to 27 billion cubic meters, from the 2012 contracted volume of 52 bcm. Gazprom reacted by stating the current gas supply contract did not envisage unilateral changes in gas purchases. This week Boyko said Kiev had agreed with Gazprom to import 27 bcm of natural gas from Russia next year, but Gazprom denied this. Ukraine has long been seeking to alter the terms of the 2009 gas deal, tying the price of gas to oil prices, which have risen strongly since 2009 and boosted Ukraine's gas bill. Miller also said gas discounts for EU countries were based on huge bilateral projects, while Russia and Ukraine did not have similar deals. "We don’t have such qualitative cooperation and bilateral mega-projects in gas production and transportation with Ukraine [as we have with Europe]," Miller added. 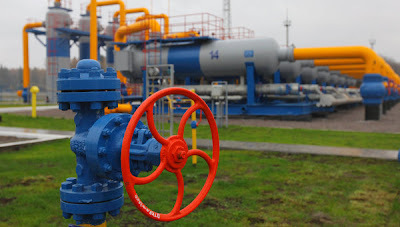 Ukraine is contracted to pay $416 per cubic meter of Russian gas in 2012. Kiev insists the price and volume of its gas imports should be reduced. Ukrainian Prime Minister Mykola Azarov has said $200 per 1,000 cubic meters is a fair gas price for Ukraine, while Gazprom says the company sees no reason to revise the standing contract. Russia has previously said Ukraine has missed its chance to alter gas purchase volumes for this year as the annual contracted volume has to be changed at least six months before the start of gas supplies.